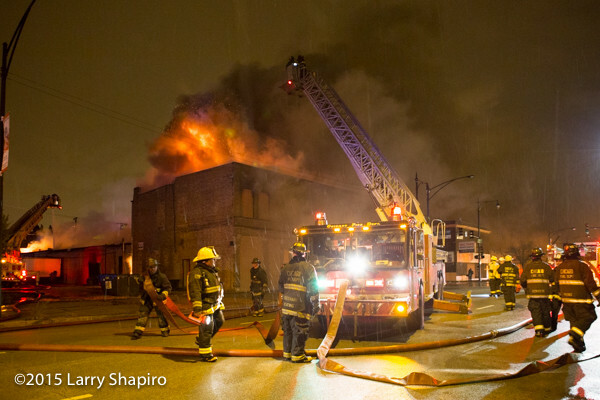 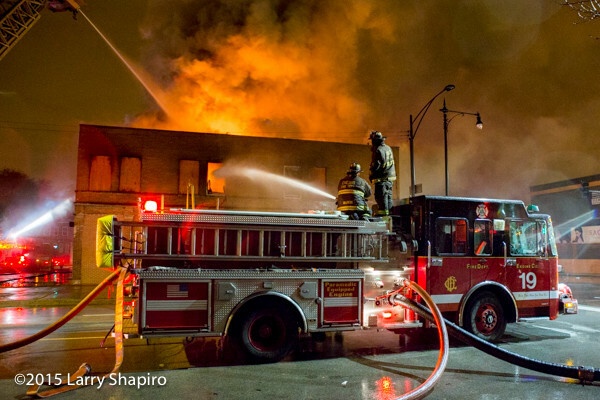 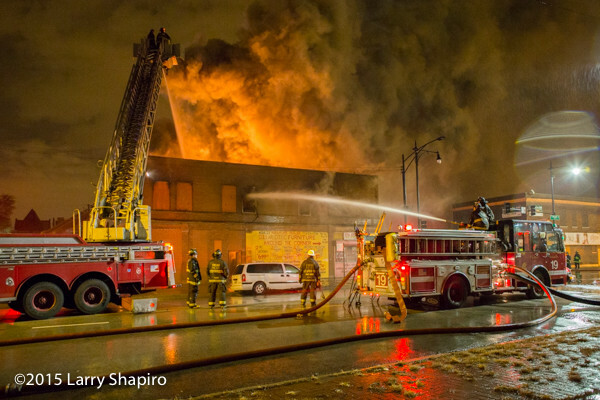 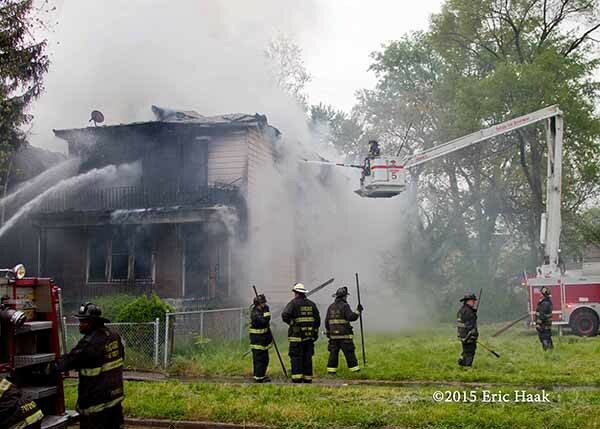 Here are some images from a quickly elevated 2-11 alarm fire Sunday (5/24/15) morning in Chicago. 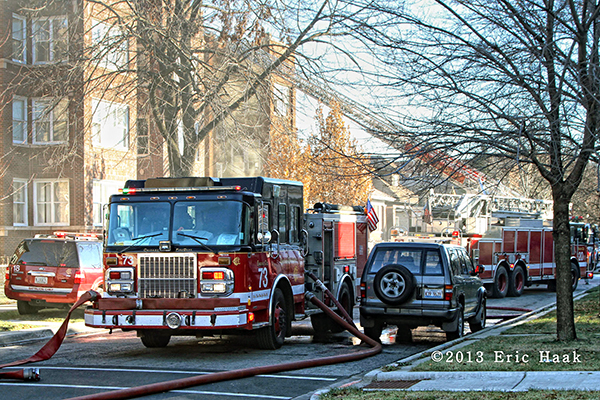 The incident occurred on the 6700 block of Union Avenue. 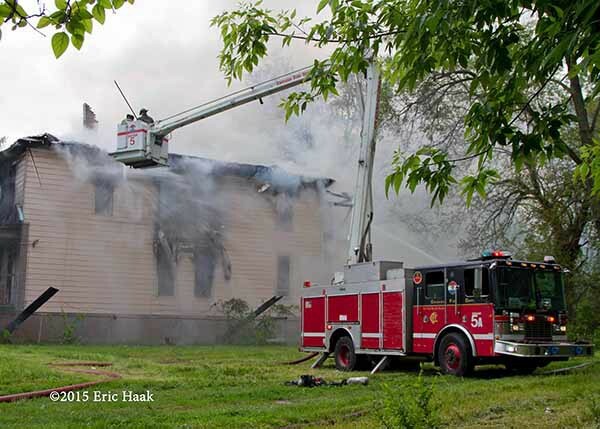 Battalion 18 was given a working fire response at about 7:15 and Engine 54 arrived moments later and confirmed they had a 2.5-story frame that was totally involved and communicating to exposures. 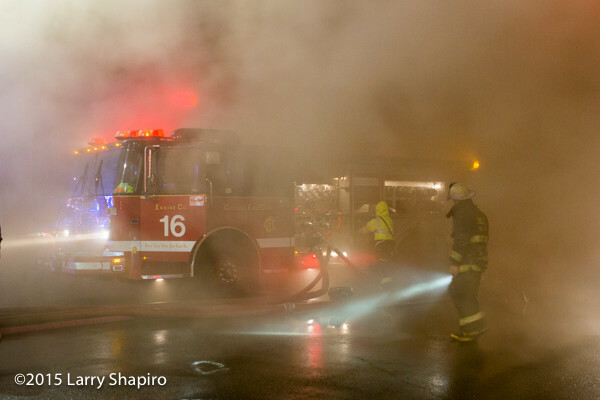 Battalion 18 boxed the fire on arrival and quickly reported water problems and requested a 2-11. 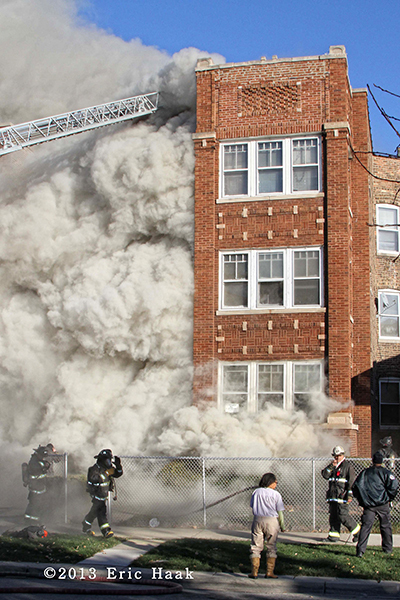 Eventually the occupied exposure would be fully-involved as well. 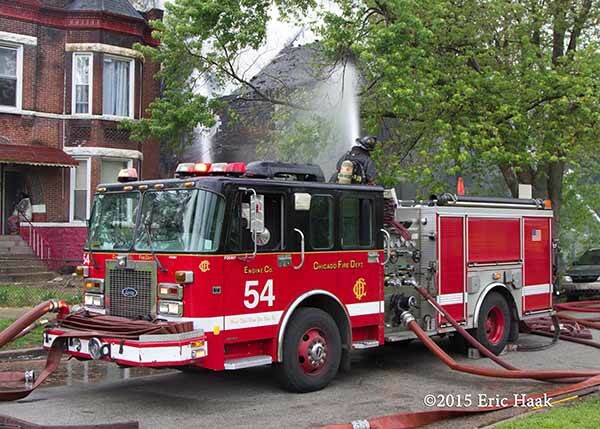 The first five engines all went to work; 54, 47, 84, 116 and 50. 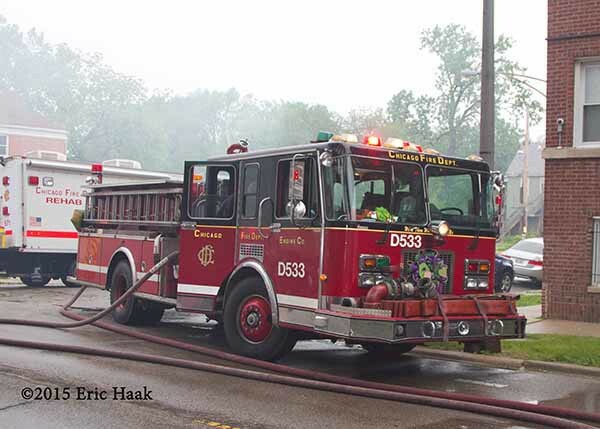 Engine 84 was in spare D533 and Engine 50 was in spare D598. 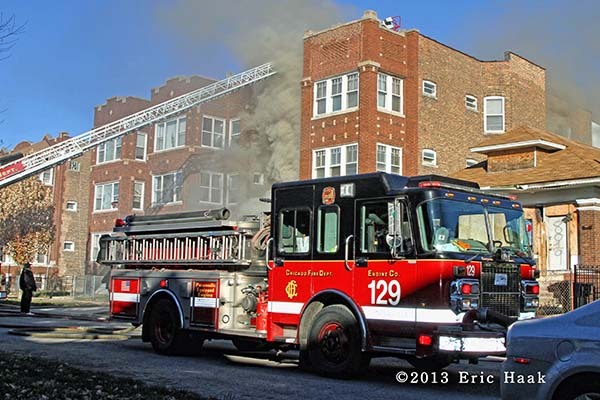 Both Tower Ladders 34 and 37 were also in spares. 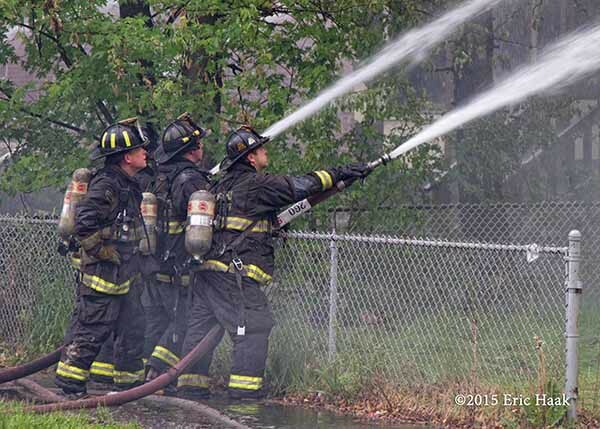 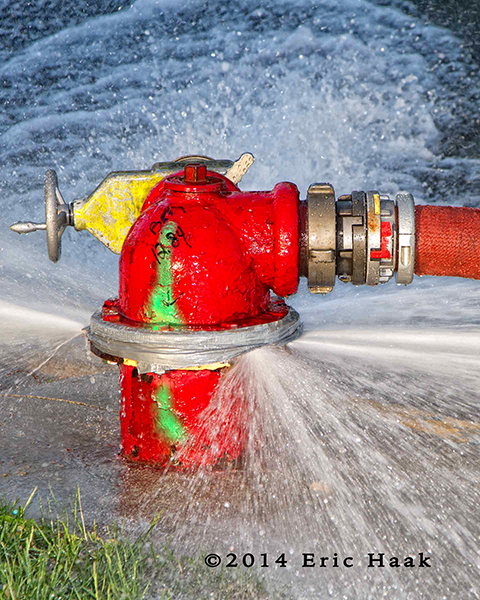 TL 34 was eventually put to work making it 6 hand-lines and 3 master streams in use. 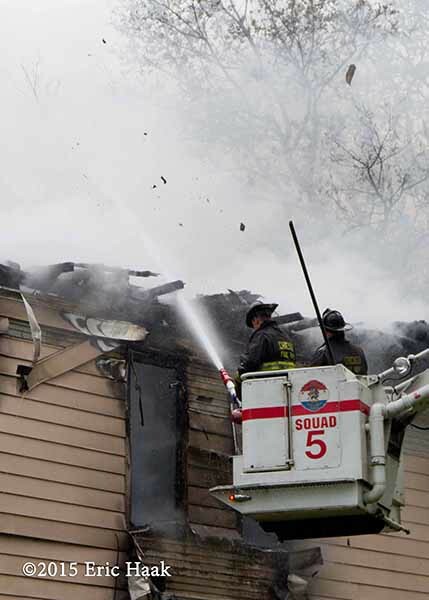 The fire was struck out shortly after 8:00 and Human Services was requested for 4 adults and 6 children. 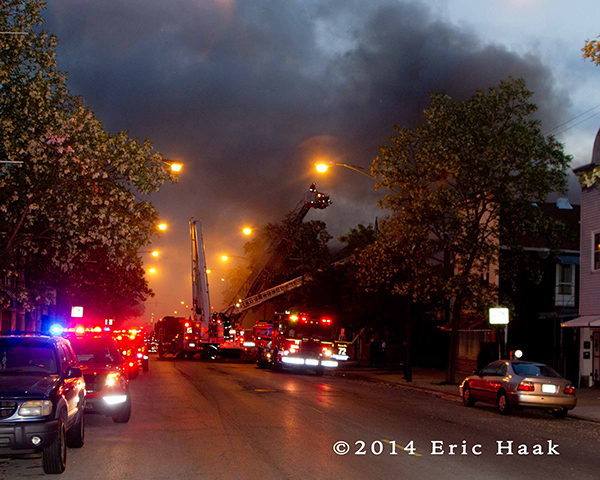 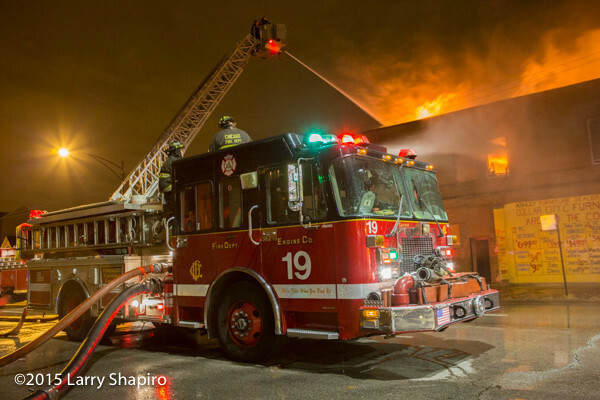 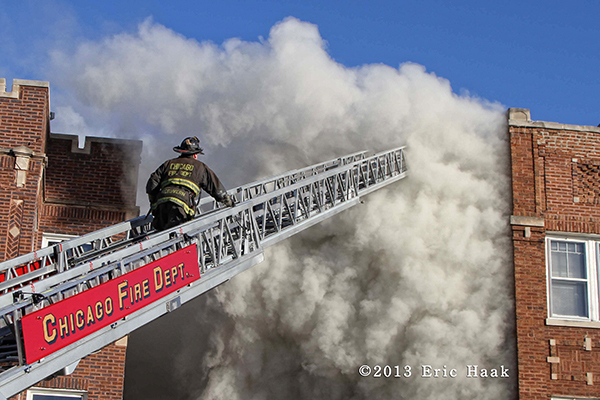 Chicago had a 3-11 alarm fire on their Southeast side early Sunday morning. 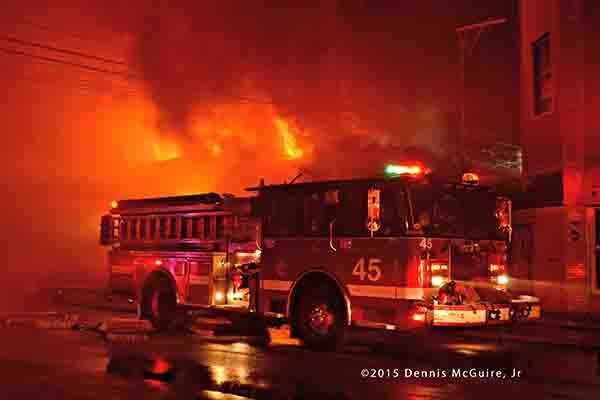 The fire was reported shortly before 0430 hrs. 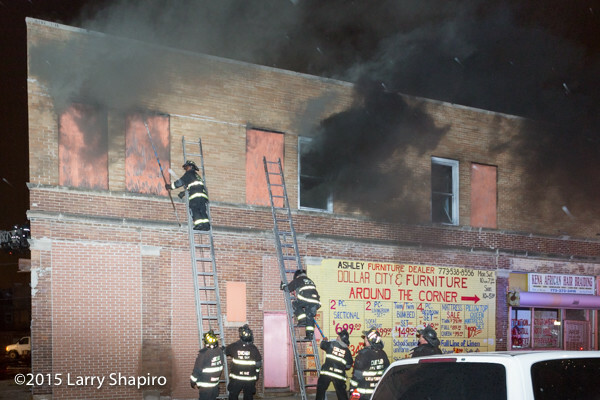 The original fire building at 8719 S. Commercial Ave was a 2.5-story vacant frame with an old TV repair shop on the first and apartments above. 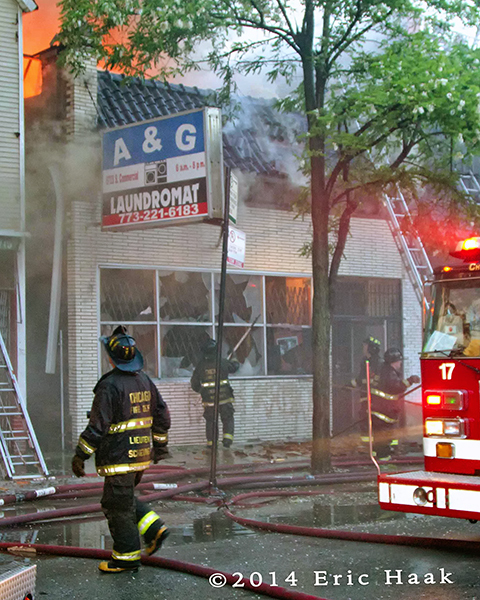 This was apparently well-involved on arrival and was already communicating to a 1-story, ordinary laundrymat at 8723. 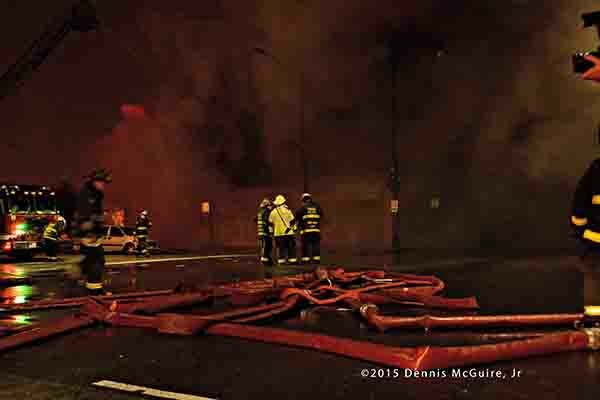 Companies made an interior attack at first but the condition of both buildings was compromised and companies were pulled out of both structures just before 0500 hrs. 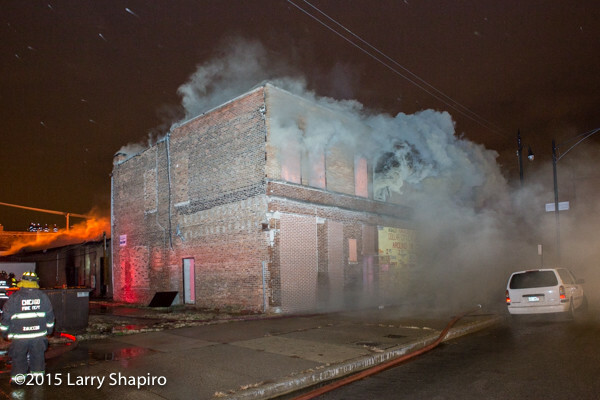 8725 Commercial was a former restaurant that was a 1-story ordinary with a second story frame addition. 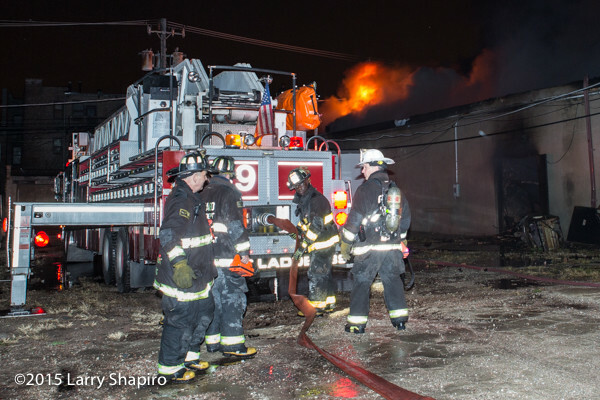 This frame addition became fully involved as fire vented through the roof of the Laundromat. 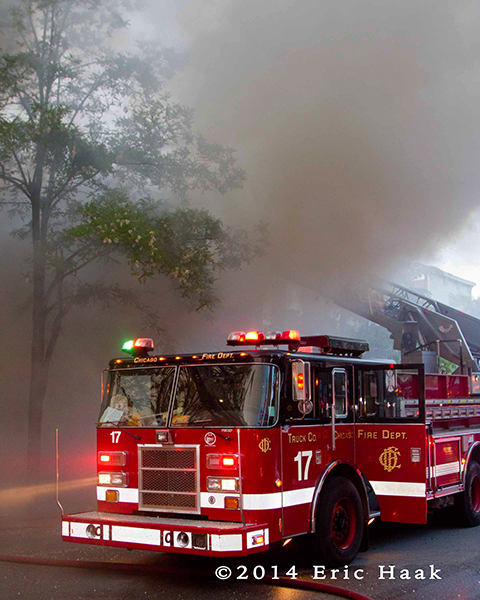 There was slight communication to 8727 which was part of the same building as the restaurant. 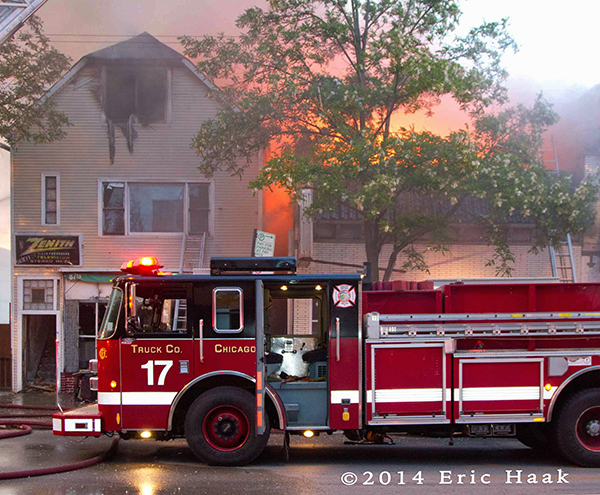 Seven engines were pumping at this incident. 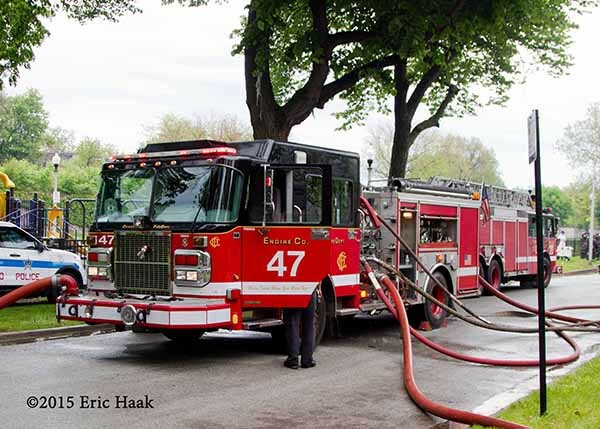 Engine 46 was in a spare and used its deck gun on the attic space of the original fire building. 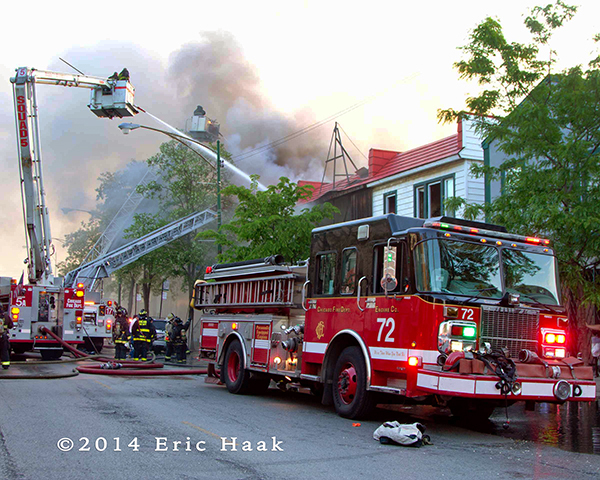 Engine 72 was on Commercial south of the fire buildings. 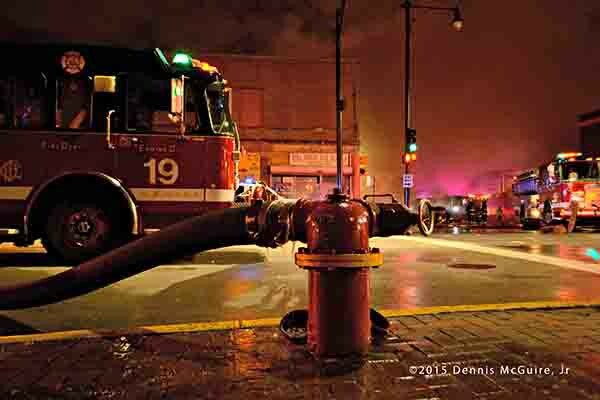 Engines 81 & 82 were at the intersection of 87th and Commercial. 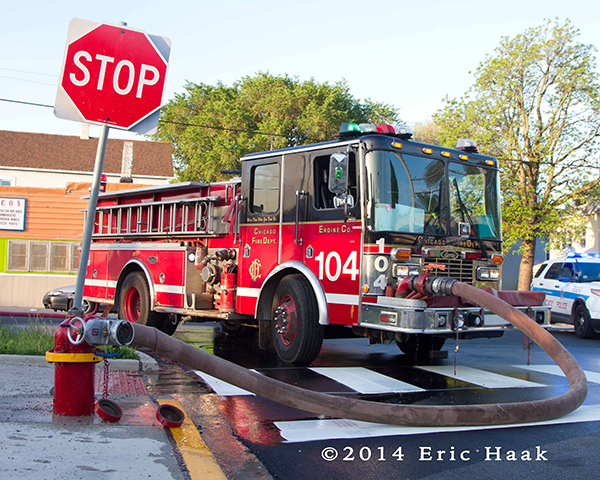 Engine 104 was at the intersection of 87th and Exchange. 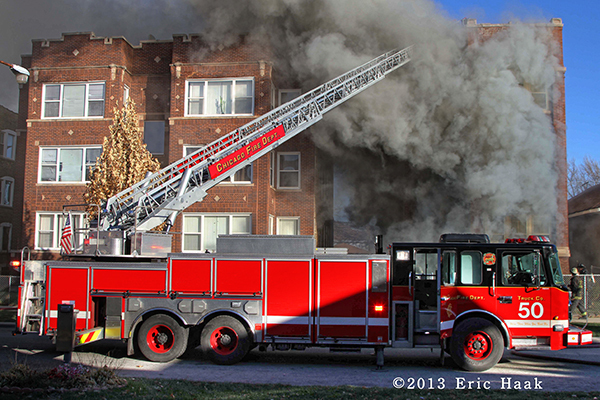 Engine 126 was at the intersection of 87th & Houston. 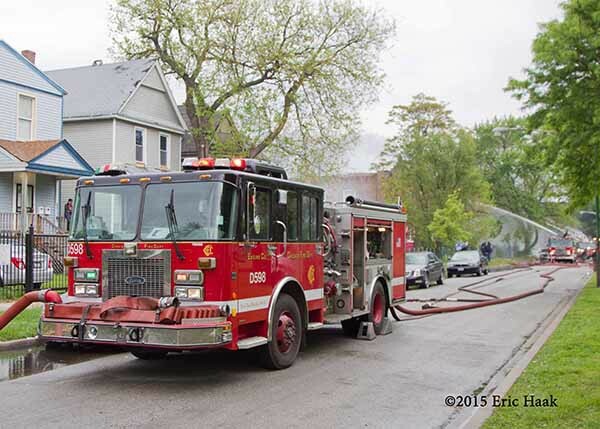 Engine 122 was at the south entrance of the alley on 88th Street. 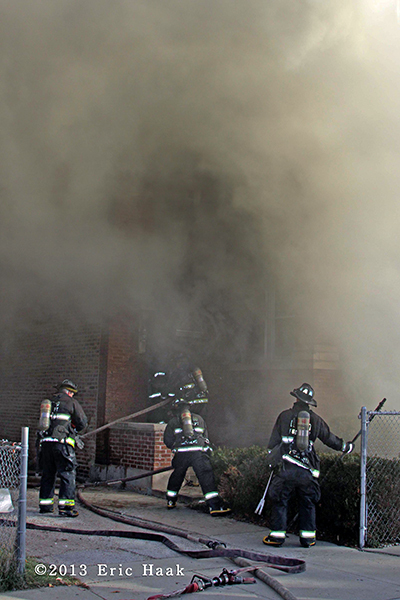 Various media outlets reported that a civilian jumped from a second-story window and was transported from the scene. 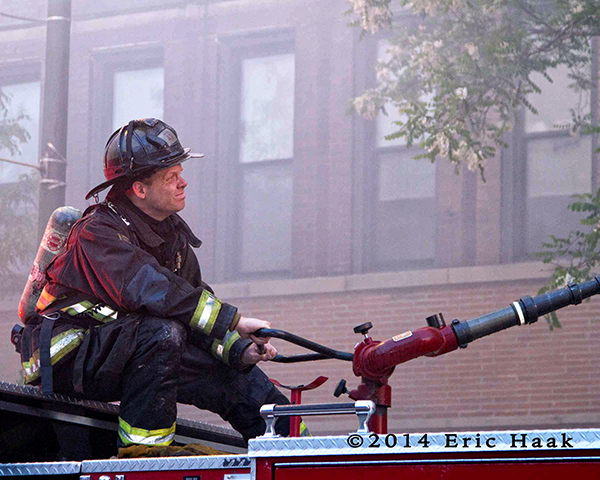 The 3-11 was struck out at 0610.